It's come to this. Excitement about the iPhone 5 (or iPhone 4S, whatever it is called) is such that the fact that it may carry dual LED flash is big news. Realistically, dual LED flash does help considerably in low light conditions. The iPhone 4 is already the top camera on Flickr, but quite a few other smartphones carry dual LED flash already. Apple has never been one to lead in technological advances for its iPhone, however, preferring to play it safe and ensure that any technology in its devices are well-tested, don't affect battery life adversely, and provide the best end-user experience possible within constraints. The report states that Everlight Electronics, Edison Opto and Lite-On Technology being targeted as potential suppliers. Naturally, all of them denied they are involved in the production of dual-LED flashes for Apple. Market reports have already indicated that Apple reduced its orders for Lumiled high-power LED flash products from Philips recently, switching the orders for LED flashes to Taiwan makers. 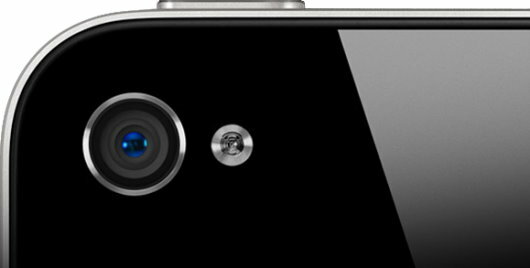 Another welcome rumor is that Apple might upgrade the iPhone camera from 5MP to 8MP, although it was demonstrated when the iPhone 4 launched that sheer number of megapixels does not make one smartphone camera superior to another.